Let's just say the "Designer to Watch" segments are my favorite. I love that the plus size community basically says that if you won't give the fashion we want we will make fabulous clothes for ourselves. That's exactly what designer, Theary Sims of Youtheary Khmer, did. Her collection is fun, flirty, and full of life. An added bonus is that almost everything in this line is under $100. And for you FFF Week attendees, this designer will be showing at the Independent Designer's feature Friday night. To me this line fills the H&M/Zara void in the plus size community. I always go in those stores loving the funness (yes I made that word up) and youthfulness of those clothes, but of course I generally can't wear their clothes. 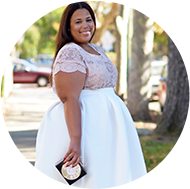 This lines gives the plus size girl an option of that look. What are my favorites? I am loving the color block dress and those purple wide leg trousers. They are both just adorable. What are your favorite pieces? You can purchase these pieces at others at the Youtheary Khmer here. ***Update: Since the I posted this yesterday the collection actuatlly sold out, but will be available for preorders. Congrats to this designer. That babydoll and the wide leg trousers! Oh my, totally gorgeous. I love a collection which isn't afraid of colour. What a stunning collection, and amazing prices, I wonder if they will ship to the UK! The sheer long white skirt, I would love to have it. Adorable, truly. I haven't gotten anything but I did order...so we will how it works out. Ill be blogging. I love that chiffon blouse dress and that maxi skirt. It's great you're introducing people to such awesome plus-size brands. When I was watching that Big Brooklyn Style show, I was saddened that a store like Monif C or even a designer like Domino Dollhouse wasn't featured. The store on Big Brooklyn Style had such basic designs and I've seen MUCH better plus-size designs. Yeah I thought the same thing. The thing is that plus size girls with real style is really still an underground thing. A lot of stores are catering to what I call the typical plus size shopper...not the girl who loves herself and wants to look and feel good. I agree. I think a lot of plus-size women just know about Lane Bryant, Catherine's, Wal-Mart, and Target. Not to say there's something wrong with these stores but there's a lot to find online. 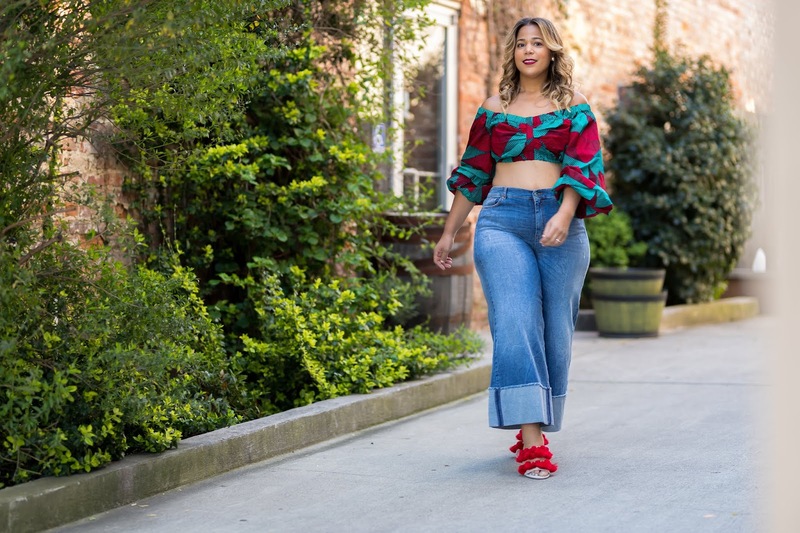 Some plus-size fashion bloggers, such as yourself, have really introduced a lot of women to brands they wouldn't have otherwise known about. That's what I am here for! I really hope one day to get a position in fashion media, so I can talk about the underground fashion that is so much better than the mainstream stuff. I just saw she is taking pre-orders. I'm so loving the wide legs, the colorblock dress, & the chiffon dress. Love the looks, and I'm even more in love with the price points. It upsets me that plus sized lines have to be so expensive all the time. These are right on point with me!! Thanks for sharing! Loving the wide leg pants and the chiffon blouse dress!! Great style!Thanx for introducing me to this designer.Love your blog! Wow! Those are just gorge! I so like the wideleg pant its looking hot!